Cheick Tiote's former Newcastle team-mates led the tributes to the midfielder, who has died after collapsing following training in China. The 30-year-old died after a training session with Chinese second-tier side Beijing Enterprises, whom he joined in February after seven years with the Magpies. Newcastle players past and present paid tribute to the tough-tackling Ivory Coast international, along with Premier League clubs and players. Newcastle goalkeeper Tim Krul said on Twitter: "Deeply sad to hear the news about Cheick One of my favourite teammates My thoughts are with his family." Former Magpies keeper Shay Given said: " Shocked & saddened to hear of the passing of Cheick Tiote, I pass on my condolences to his friends & family, way too young #ripcheickTiote." Another ex-Magpies stopper, Steve Harper, tweeted: "Gutted to hear the awful news about my former teammate Cheik Tiote today. Thoughts with his friends and family." Papiss Cisse, who left St James' Park for China last year, said: " Goodnight brother, You will be missed. My heart goes out to his family. Gone too soon #RIPcheiktiote." Newcastle's current captain Jamaal Lascelles said: "There are not words to express how saddened I am to hear the news that Cheick has died this afternoon . I have spoken to the team a nd non of us can believe it, my thoughts are with his family at this time. RIP Cheicky." Newcastle forward Ayoze Perez added: " I can't belive it. No words. I am broken. RIP Cheick." 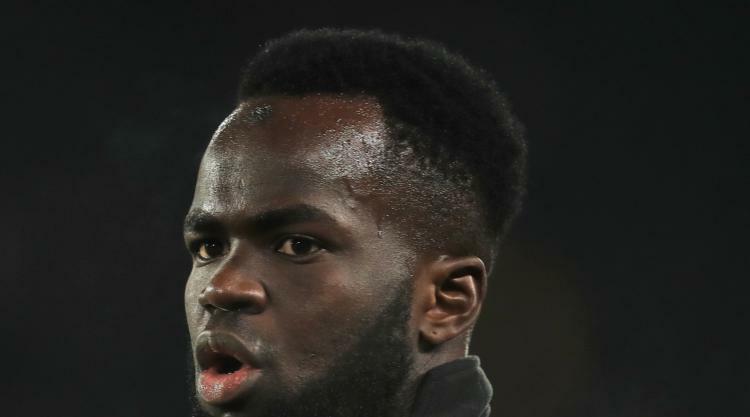 Alan Shearer said on Twitter that Tiote's death was "d evastating news ", while another former striker, Gary Lineker, tweeted: " Dreadful news that Cheick Tiote has passed away. So young. So tragic." Manchester City captain Vincent Kompany, a former team-mate of Tiote's at Belgian side Anderlecht when both players were starting their careers, tweeted: " I am speechless and so incredibly sad. Cheick Tiote was one of the nicest and toughest teammates I have ever had. Rest in peace brother." Premier League clubs also offered their condolences, including Newcastle's great rivals Sunderland, who said on Twitter: "Our thoughts are with the friends and family of Cheick Tiote and our colleagues at #NUFC Such sad news." Tiote's international team-mate Wilfried Bony said on Twitter: "DEEPEST CONDOLENCES TO CHEICK TIOTE AND HIS FAMILY TAKEN TOO SOON." Former Manchester United and England defender Rio Ferdinand added: "Shocked to hear the news that former @NUFC midfielder Cheick Tiote has passed away thoughts & prayers with his family & friends!" The official Twitter account of the England football team said: "Awful news. Our thoughts are with all who knew Cheick." FIFA said: " Our sincere condolences to the family, friends & team-mates of Cheick Tiote, who passed away today in China, aged just 30. Rest in peace."